A delectable and easy vegetable accompaniment for the Sunday roast, or for any mid-week family supper, such as grilled chops, sausages or baked ham. Pre-heat a frying pan, heat rapeseed oil in pan and then add vegetables to colour. Place carrots, potatoes and onions in a large roasting tray. Add the Balsamic vinegar, and then season with salt and pepper and mix well. 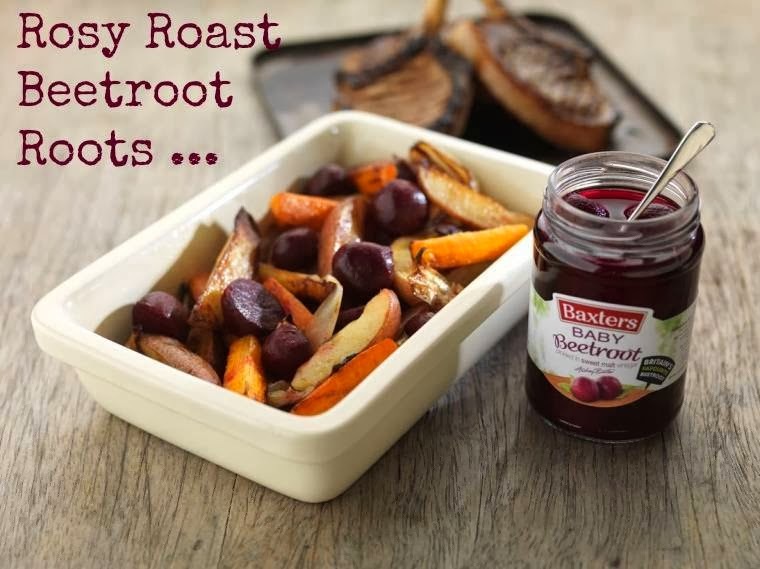 Roast minutes for 25 before adding the baby beetroot then place back in the oven for a further 20 until the carrots, potatoes and onions are soft and charred around the edges; keep basting the vegetables throughout cooking with the oil and vinegar dressing. Once out of the oven finish the dish with cooked baby beetroot. Cumin Roast Beetroot, Squash And Carrot with herb salad anyone? This salad brings together the earthy flavours of roast veg, crunchy hazelnuts and fresh herbs. With a spicy heat and the fresh zing of lime and yogurt this dish is a crowd pleaser in winter or summer. Cumin Roast Beetroot, Squash And Carrot With Herb Salad. Have you every tried beetroot soup? A delicious beetroot soup recipe, perfect for entertaining friends. Yum! Roasted Beetroot Soup With Feta Yogurt Dressing.